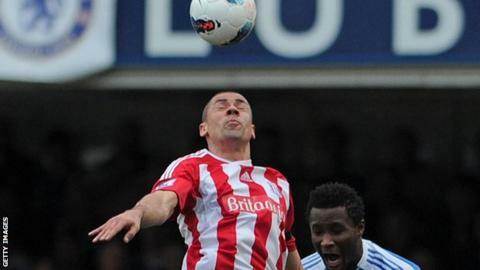 Former Wrexham striker Jon Walters scored twice for Stoke City on his return to the Racecourse in a pre-season friendly. Stoke manager Mark Hughes fielded a strong team against the club he supported as a boy. Mame Biram Diouf opened the scoring, with Walters and Marco van Ginkel adding one each before the interval. Joselu and Dom Telford also scored, while Wrexham's Kayden Jackson had a penalty saved by Daniel Bachmann. Wrexham boss Gary Mills fielded eight summer signings, but his team were outclassed.